Yet another tilset commisioned by OGA. 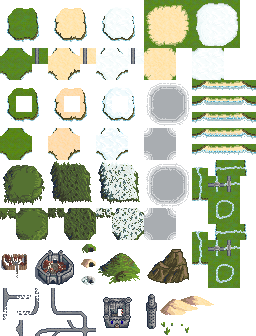 16x16 tileset for a worldmap. I'm not sure what's confusing about it. Having a larger water animation makes the water a bit less repetitive. InanZen, have you tried creating a loop like 1-15, 15-1, 1-15 or something like this? no i have not, but i don't think that's how animation is supposed to work. 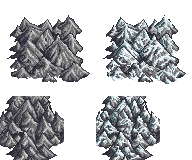 I was wondering whether it's possible to use the mountain as a 'terrain' using the terrain tool in Tiled software? 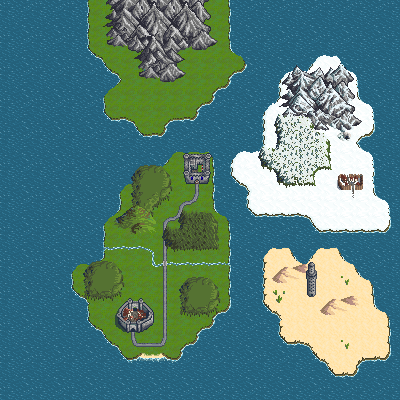 I'm not sure how to make that work properly (my mountains are all messy so I'm doing something wrong...). The mountains are arranged in a 3x3 grid, use the middle tile and it should come out fine.